Dr. Anna Szmitko and Associates use a safe whitening process that oxidizes only the dyes and stains that accumulate on and within teeth over time. The process involves a convenient at home treatment that can whiten and brighten the most stubborn stains and can last for years. For those looking for immediate results we recommend Zoom Advanced Power in office whitening. For more information visit www.zoomwhitening.com/en_us. If you think that your smile may be enhanced or improved with whitening technology, please contact us to arrange for an exam and consultation. Zoom whitening is ideal for anyone looking for immediate results. The Zoom whitening procedure is simple and effective. You’ll be amazed with the results. Zoom Advanced Power is ideal for the busy individual who is unable to wear bleaching trays over night for multiple days. 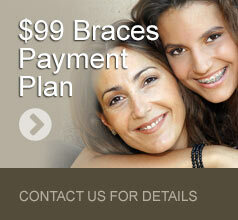 In many cases the teeth become even whiter in the first few days after the procedure. We offer Zoom Advanced Power for $250.00 to new patients and existing patients after their New Patient Exam and Cleaning have been completed (regular price is $600.00). 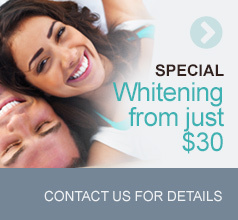 We also offer professional take home whitening for $30 with a new patient exam and cleaning (regular price is $350.00).